Women grabbed their children as the B-29's flew overhead. Bombs were seen falling from the aircrafts as people ran for cover. Huddling in their shelters, the fear of death surrounded them. As the sound of the engines disappeared into the distance, people emerged from their hiding places to find buildings still standing. There were no dead bodies lying around or any signs of destruction. Instead, the ground was covered in leaflets. America was up against a fighting force that found honor in suicide missions. A culture that believed in personal sacrifice to bring about the collective mission. A military that routinely beheaded and/or burned captured enemy soldiers. World War II Japan was a secular ISIS and they were determined to fight until the last man standing. With the European conflict over, all focus was now on the Pacific campaign. The Allies were planning an all-out November attack on Japan that estimated upwards of 10 times the casualties as the Normandy Invasion. Those plans changed on July 16th with the first successful detonation of the atomic bomb. President Harry S. Truman had a decision to make. He could continue to battle a country that had pilots willing to fly their planes directly into their targets or he could end the fight. That ending could potentially kill thousands of civilians, but so could a prolonged war. With this new, devastating technology, Truman knew he had a weapon that could end the war now without the sacrifice of 100,000 Allied soldiers. As one leaflet explained, "A single one of our newly developed atomic bombs is actually the equivalent in explosive power to what 2000 of our giant B-29s could have carried on a single mission." The Allies had presented the Potsdam Declaration, an unconditional surrender agreement, to the Japanese government in early July. The Allies warned “the inevitable and complete destruction of the Japanese armed forces and just as inevitable the utter devastation of the Japanese homeland” if Japan did not comply. By the end of the month, Japanese Prime Minister Kantaro Suzuki had flatly rejected the terms of surrender. As with ISIS, the ends justified their means with civilian deaths a willing sacrifice. NOTICE TO THE JAPANESE PEOPLE! Still unwilling to give up so easily, Major Kenji Hatanaka led a military coup early August 15th. While some rebels took control of the imperial palace, others torched Prime Minister Suzuki’s home. The coup was extinguished within hours. Submitting to America’s terms of occupation, the Emperor took to the radio at noon and announced the country’s defeat. America immediately accepted Japan’s surrender. Hirohito called the atomic bomb “new and most cruel”, citing its use as the reason for Japan’s loss. The official surrender ceremony took place on September 2nd in Tokyo Bay. The delay gave the Allies time to appoint representatives to be present. Just after 9 a.m. Tokyo time, the surrender agreement was signed on the deck of the Missouri, finally ending World War II. 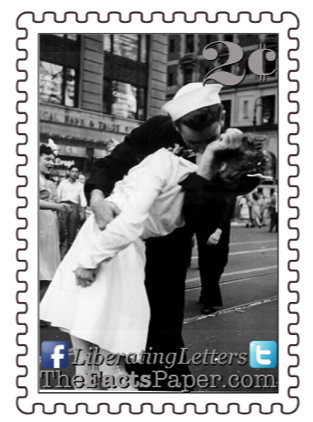 Today, the United States denotes September 2nd at V-J Day (Victory over Japan). Japan still refused to surrender to the Allied forces. They threatened arrest for those who did not immediately turn over the leaflets to the government. After showering millions of flyers on multiple cites, America made good on its threat. The Enola Gay dropped “Little Boy” on Hiroshima on August 6, 1945. The bomb killed an estimated 70,000 people while devastating a 5-square-mile section of the city. After the attack, a group of Japanese leaders were ready to accept the Potsdam Declaration. Unfortunately, the majority refused to submit to an unconditional surrender. America was not excited about dropping such destructive bombs on Japan, but they were fighting tenets and tactics parallel to that of ISIS. The Japanese, who had already suffered major setbacks, were determined to continue on with their war until all were decimated. This ideology cannot be compromised or negotiated with. It must be defeated. Those critical of America's actions must acknowledge Japan was determined to carry on even after the first bomb. Repeated warnings of a second bomb meant nothing to Japan's resolve. Liberty, historical events like these are unsettling to those of us who appreciate and respect life and liberty. As much as progressives want to continually make America the bad guy, she still showed compassion for the Japanese people. The United States gave multiple opportunities for Japan to repent and stop the war on its own. In the end, evil had to be defeated. I’ve written several letters on the evils and destruction of the WWII European conflict and now the Pacific. (see Sanger And Eugenics And Socialism, Oh, My, Holocaust: Then & Now, The Axis Of Evil, Evil Is As Evil Does, Remembering The Holocaust, The British Bulldog, Voyage Of The Damned, and Diary Of A Young Girl) As tragic and distressing as that period was, it is nothing compared to the devastating event still heading towards the world: Christ’s judgment at his 2nd coming. This does not guarantee we will not experience pain, suffering or hard times. It does ensure that when our time here on earth is over, believers will live in the world God always meant for us. There will be no sin. There will be no pain. There will be no war. Let not your heart be troubled, Liberty. We must study history to learn from it and strive to do better. We must always pray in all situations to do what is God pleasing whether on a personal, group, or even national level. But remember, a perfect world here on earth is not our goal as it can never be achieved. Our true war is over, and guess what. Christ won. Victory is already ours. 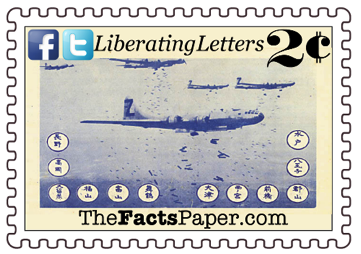 Overall, an estimated 70 million leaflets were deposited over Japanese cities warning citizens of the bombs and begging them to end the war to prevent any further attacks. The Soviets and America attacked Japan on two fronts on August 9th. The Soviets overwhelmed Japanese forces in an attack on Manchuria while America dropped “Fat Man” on Nagasaki. These strikes finally convinced Emperor Hirohito that Japan had been defeated. He sent word to his government to work out a surrender agreement. By the end of the day, they consented to accept the terms of the Potsdam Declaration dependent on the future of the Emperor’s position.